Fire has burned through a swathe of the Tjoritja National Park. The remains of a corkwood tree after an unplanned bushfire in an area heavily invaded by buffel grass near Simpsons Gap. Very few large old corkwood trees now remain in this area. Our research suggests that in areas invaded by buffel grass, slow cool winter burns – typical for control burning – can be just as, or more, damaging for trees than fires in hot, windy conditions that often cause fires to spread. The link below is to a media release concerning the banning of solid fuel fires in State Forests throughout NSW due to bushfire concerns. 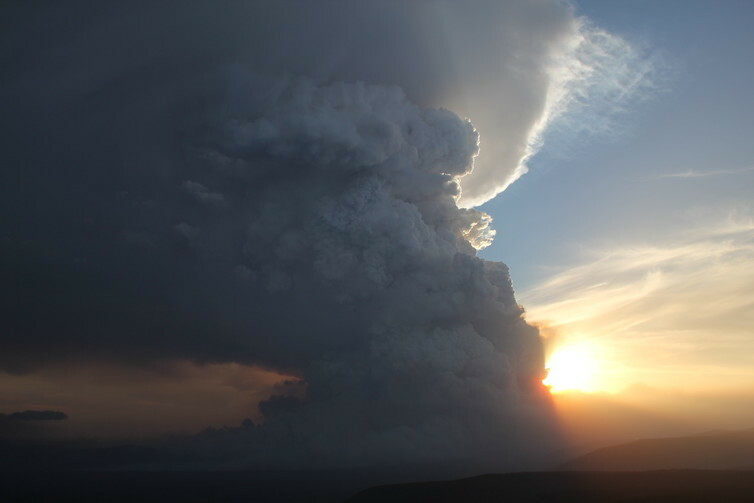 A firestorm blots out the sky in Victoria’s Grampians.